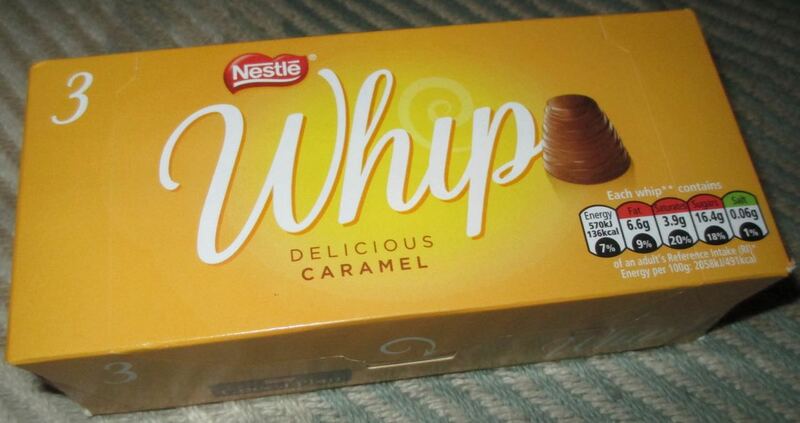 Following on from the Delightful Mint Whip review last week, I am now trying out the other new flavour in Nestle’s Whips range (AKA the new but Walnut-less Whips). I think the thing that surprised me most with the Mint Whip was there was nothing on top, I wasn’t expecting a walnut, but some kind of decoration. This Delicious Caramel Whip too is naked, and looks like something is missing. Now as this is a caramel flavour I did wonder whether it would contain an actual layer of caramel inside the whip, but it turns out it is purely a caramel flavoured whipped filling. 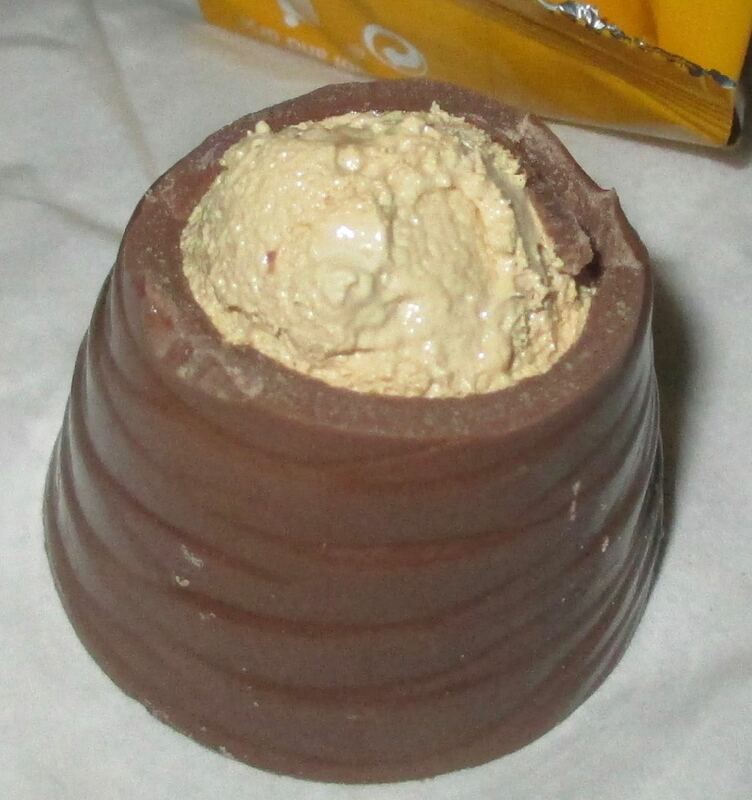 I opened up the wrapper, these are individually packed inside the box, and bit into the chocolate and found the light brown colour whip inside. The flavour of the filling isn’t too strong, but the caramel aspect was very tasty. It had a rich burnt sugar taste, and reminded me of honeycomb pieces. It was a very tasty and sweet Whip, and went perfectly with the thick chocolate casing. It made a lovely treat to snack on and is perfect for caramel fans, despite there technically not being any liquid caramel inside. 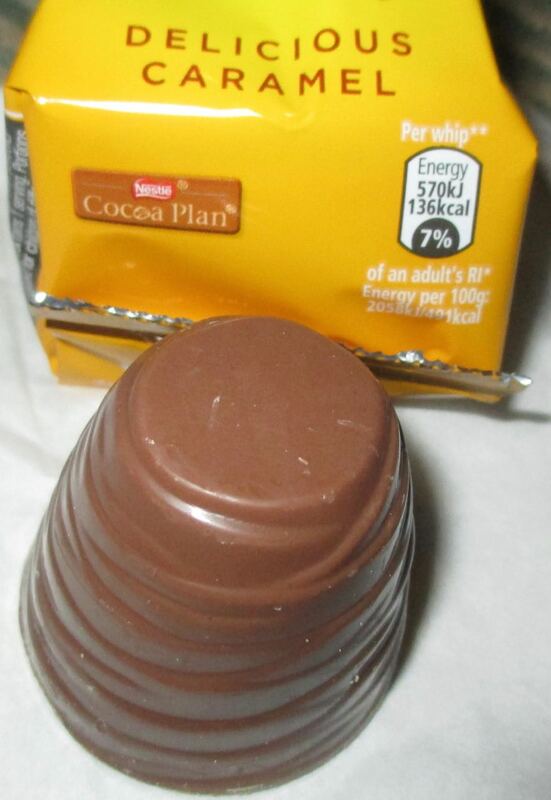 There are only 136 calories per Whip, so there is no need to feel too guilty either.